While the Indica species of the Cannabis genus is a relatively short plant, ranging anywhere from 2.5' to 6.5 feet tall, its polar opposite, the Sativa species often grown to be 7 to over 23 feet tall, though on average they range between 7 and 12 feet. Varieties of Sativa usually have a fruity, sweet smell to them which, with several strands, percolates through to the taste on the exhale. Again, in contrast to its nemesis, Indica, which provides one with a body high, Sativa strains are generally said to deliver a "mind high," characterized by energetic or uplifting feelings. 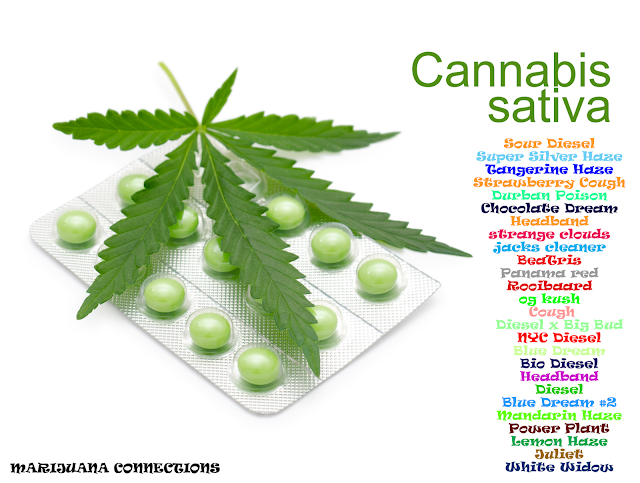 These are just a few of the huge number of great Sativa weed strains that can be found on the menus of MMJ dispensaries in Colorado.